While with the help of several friends we´re still testing out the Engined child theme that will serve as the foundation of the next generation of Divi Children, I felt it was necessary to release a new intermediate update of the Divi Children plugin. As you can read in the Divi children Changelog, this 2.0.6 update takes care of a couple of issues. The new Offset setting was introduced in Divi Blog modules not too long ago (I seem to recall that it was in the Dvi 2.3 update). This Offset feature was not working in child themes created by previous versions of Divi Children. Although even before Elegant Themes introduced this feature in Divi I made it available to you by means of the Divi Children Magic Codes “newest_post_feed” and “no_newest_post_feed” (at least for an offset value equal to 1), the new update makes sure you can use the blog Offset setting as you wish. If you´ve used Divi Children before you may have noticed that, before you began customizing your child theme, the social icons in the footer appeared pushed together. Something similar was happening with the sidebar margin, the sidebar was pushed towards the vertical dividing line. All this was happening because no default values were sent to the customizer output, for example for the icons size. It so happens that the icons separation is calculated as a function of icon size, so if no value was given for it the separation value went to zero. The fix was very easy: If you selected any social icons size (and even if you reverted it back to the default 24px value), as soon as you clicked on the Customizer “Save & Publish” button, everything would work alright. But anyway, that is not needed anymore. In the new version, all settings values come now with a default to make sure everything works and looks as expected. The new 2.0.6 version is already available for download. Just follow the instructions for updating it if you have a previous version of the plugin installed in your site. I´ve also updated the plugin admin files to make sure that existing child themes created by previous versions of Divi Children can be easily updated to include the new fixes. Update Divi Children to 2.0.6. Go to Appearance > Divi Children to open the main plugin page. Open the Install or Update Divi Children Engine tab. Select the child theme you want to update and follow the instructions. 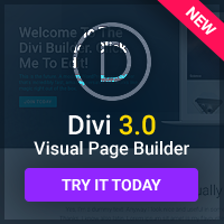 Update May 3, 2015: Please note that a newer Divi Children 2.0.7 update has just been released. Existing child themes updating has also been improved in Divi Children 2.0.7, so please make sure you update your child themes using the new plugin version. Excuse my ignorance, but can I just clarify something with you about updates? 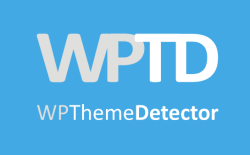 I currently have four sites with Child Themes created by the Divi Children plugin. When I delete the existing Divi Children plugin and upload the latest version, do I then have to create a new Child Theme to get all the latest features – like the new ‘cta_outbound_link’ Magic Code and any possible additions to the ‘Customize’ options ? If so, can I keep everything about the titling of the Child Theme the same, but just change the Version number from 1.0 to 2.0 ? And finally do I then simply copy any CSS amendments from my initial Child Theme style.css file and add them to my new Child Theme before activating it? I know these are more general questions about Child Theme management and functionality rather than directly about the Divi Children plugin, but I’ve never updated a Child Theme before. Apologies again for these basic questions. It´s just much easier than you thought. Apologies for my slow reply, I think you answered my question before I clicked on the email to subscribe to new comments and I didn’t know you had until I came to your site to check! Just one, hopefully quick, further question. On one of the sites I applied the update too (it actually didn’t have a Divi Children Child Theme before, the custom CSS was in the Divi Theme Options) an extra footer widget has appeared and I’m not sure where it’s controlled from? It’s on my own site (above) and is displaying a copy of the Main Menu navigation links. I think the widget is called the ‘Footer – Bottom’, it’s not a widget I’d normally use. I’m sure it’s really simple to turn it off, but I just can’t figure out from where! If you have any ideas it would be much appreciated. Sorry I didn´t get back to you earlier, I didn´t quite understand your problem until I´ve seen your video. That menu you´re getting on top on your footer appears there because you´ve selected “Footer Nav” on the “Footer Menu” option in the Customizer (“Navigation” section). If you don´t want any menu over there, you should un-select it (making it read “-Select-” and then saving your changes). That option has nothing to do with your footer widget as you´ve assumed, but it exactly applies to the navigating menu you want to get rid of. No problem at all, I understand you are very busy – and of course it’s simple and obvious now you point it out! Is it possible to use this area for a text box rather than a Navigation menu? I’ve created an extra Text Widget called ‘Bottom Message’ but not sure if this can be ‘applied’ to this area as it’s obviously designed to be a Sidebar Widget? It’s not appearing as an option in the Customize – Navigation – Footer Menu drop down anyway.